What Size Gas Logs should I Choose? Gas Logs can not only add a great aesthetic improvement to your old fireplace, they also help save energy and heat quite a large in your home! Since 1998, they are also the most popular Fireplace Accessory you will find on both the web and many local hardware stores! Having worked for an HVAC company for several years and sold many sets of Gas logs on the Internet, I wanted to share the popular questions I used to hear from buyers. You should not be surprised to know that almost everyone had the same questions! What size should I buy, and should I get vented or vent free gas logs. Before you ever buy a set of Gas Logs… try to talk to someone in your local HVAC industry. They will know if there are any specific building codes you need to be aware of. In most cases, the codes are directly related to the gas supply line and require a shut off valve within x number of feet from the fireplace. This is for your safety and should always be adhered to! Besides… spending 15 minutes checking code now may not only save your life in an emergency, it will save you alot of money if and when you decide to sell your home. The first consideration you MUST make is not based on heat output, but the size of your existing firebox! Obviously, if you have a 24 inch firebox, you cannot fit a 30 inch set of logs into it! Common sense right? In almost all cases, you truly want to have some room around your new gas logs and in many states, it is required! Measure the inside width and depth of your current fireplace, from side to side for the width and from the back of the firebox to where your hearth starts, at the face of the fireplace. Allow a 6 inch buffer on both sides and the back, and you have the MAX size you can fit in your fireplace. In the example above, we have a firebox that is 36″ Wide and 30″ Deep. Allowing for 6 inches on each side of the logs, the MAX width that should be installed is 24″. The max depth, 24″. This allows a 6 inch buffer for the logs to have proper airflow when they are running. In regard to the heat output or BTU’s, I always recommend you get the highest amount of heating power, your SIZE will allow! If in the case above, 24 inch wide logs came in 20,000 – 40,000 btus, I would get the 40k set. You never know when a power outage will require you to crank them up to heat more than the single room! If you don’t the amount of heat they are delivering, you can always turn the heat down by reducing the flame size. The second most common question… Should you get vented or vent free gas logs? Alot of this depends on your fireplace itself! Most manufactured fireplaces have some limitations on the amount of heat they can handle, but most are fine with vent free. 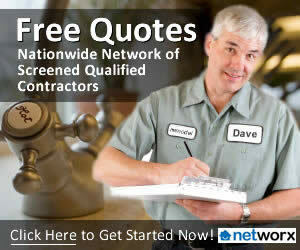 Look on the paperwork for your own fireplace, or check the manufacturers website. In 99% of the cases, I recommend VENT FREE as much as possible! Vented Gas Logs – 95% of the heat goes up the fireplace! They are 5% Efficient! Vent Free, or Unvented Gas Logs – 100% of the heat goes into your living area! They are 100% efficient! Go with Unvented if you Can! 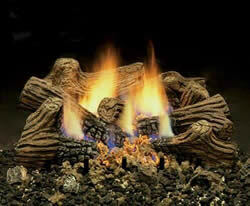 Check out some of these popular gas logs on the web. Don’t always go with the cheapest you can find, you will sacrifice not only the look of realism, but some advanced features like remote control, burning embers etc.